The Northwick is available with brick, stone, vinyl, hardi-plank or any combination of those exterior options. Pictured here in brick & vinyl siding, this Northwick lives in Mount Blanco at Meadowville Landing. 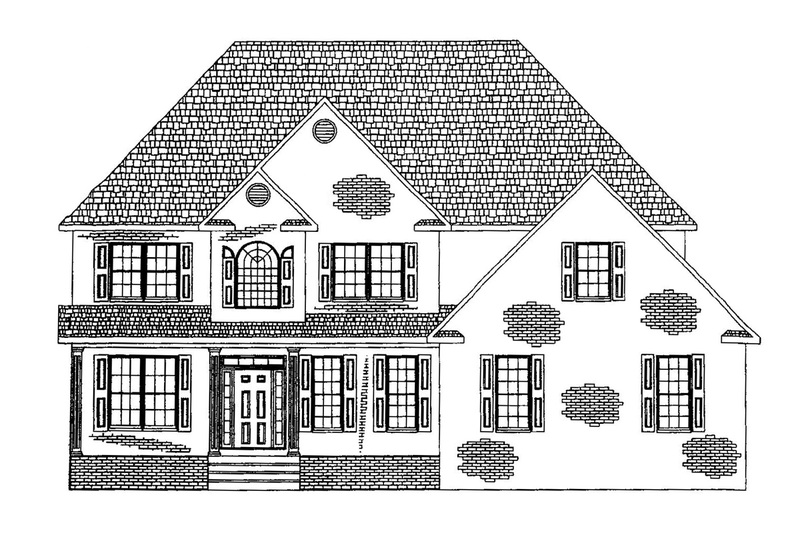 The Northwick is a beautiful two story home with a hip roof and open first floor layout. First floor formal living room can be used as an office or playroom for kids. 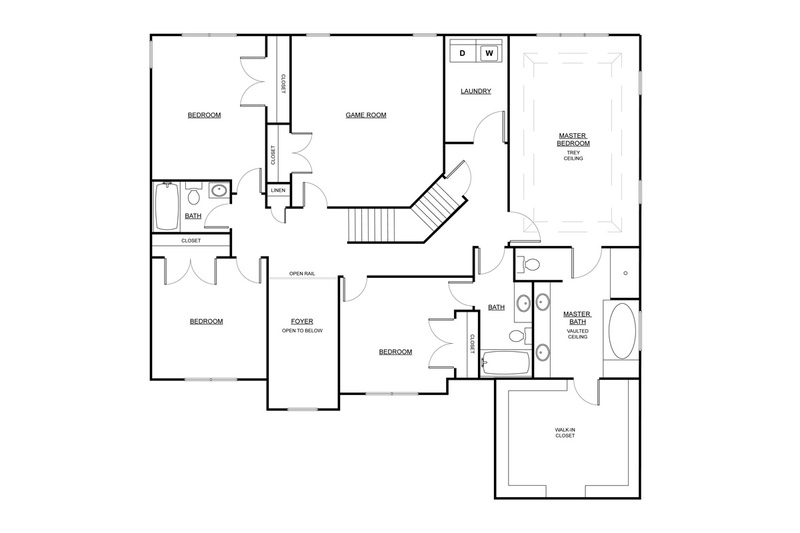 The second floor master includes a trey ceiling, walk-in-closet and luxury bath. 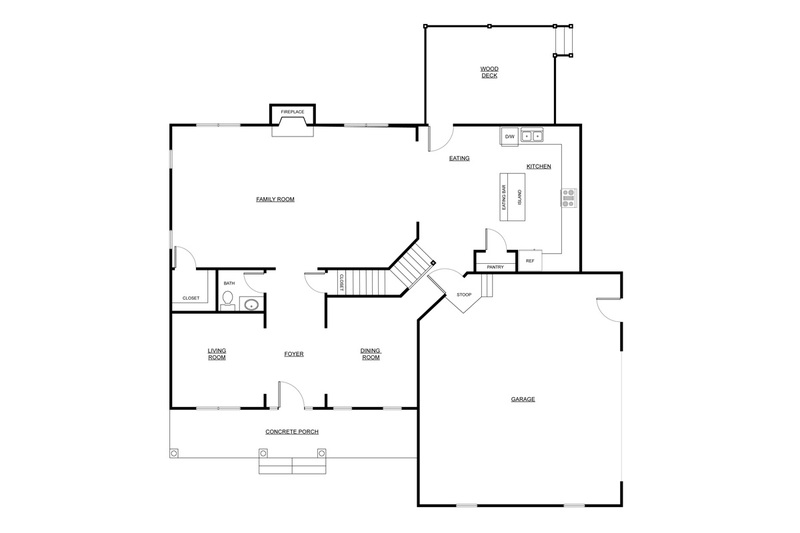 Three bedrooms and a game room complete the second floor. 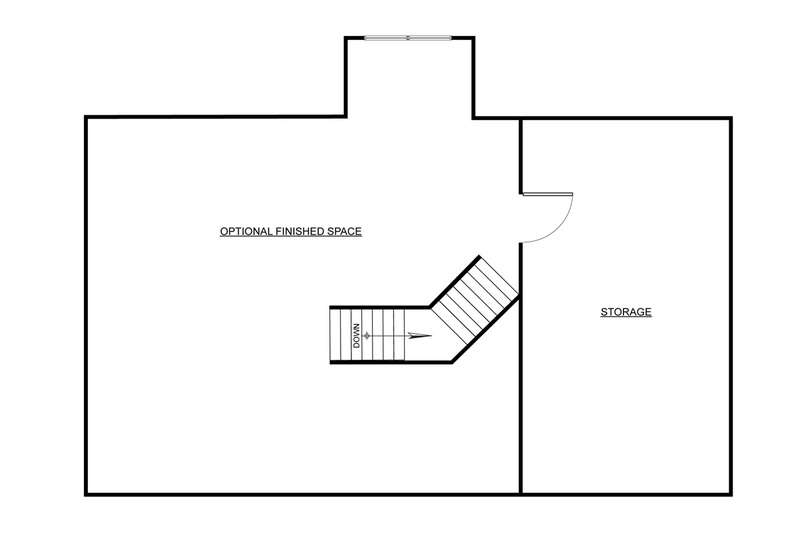 A walk up attic with finish able space on the third floor, 16×12 deck on the back and a 180 sq. ft. covered front porch come standard with this plan.